The stage is set, the training has commenced, the fundraising continues – Carol and Thomas McKenna are beginning one of the most exhilarating and rewarding 8 weeks of their lives. 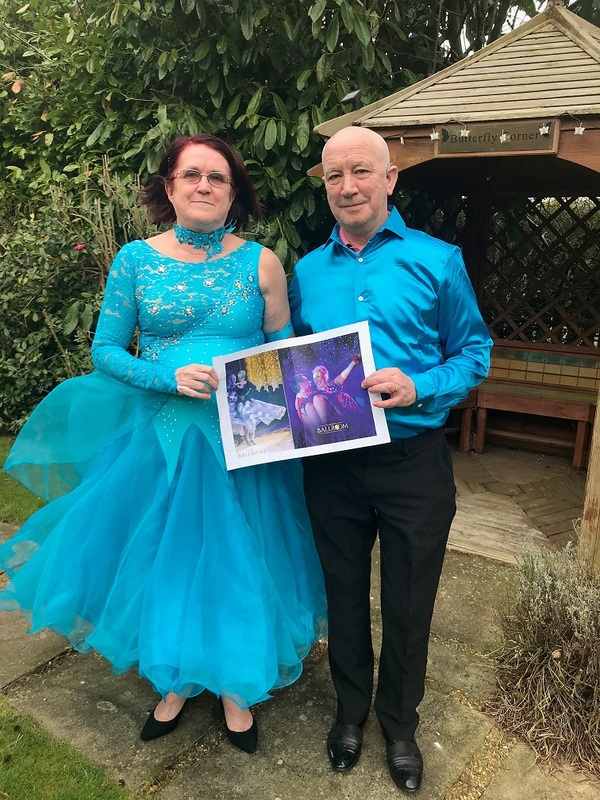 Carol a Nurse at Stocks Hall Nursing Home in Skelmersdale and her husband Thomas, (a former Senior Carer) also at the Home are partnering up and taking to the Ballroom Dance Floor. The couple will undergo 8 weeks of professional Ultra Ballroom Training at Nazene Danielle’s Dance Dynamix. They will then take centre stage, dancing the Waltz together, at the final show down event Ultra Ballroom on 13th May at The Olympia in Liverpool. On the BIG night, everyone will dance and be scored by judges. The top 5 pairs will then dance again and one couple will win ‘Best Dance of the Night’. Other awards will be also be awarded at the event; Most Improved Couple, most improved Individual, Best Outfit, Best Outfit bought at a Cancer Research UK store, Top Fundraiser and Top Fundraising Couple. The couple are taking on this challenge to raise money for Cancer Research UK and money can be donated through their Just Giving Page. As they dance they will be raising funds for life-saving research. Stocks Hall Nursing & Care Group are delighted to be sponsoring the lovely couple and the Company have purchased a full table of 10 seats at Carol and Thomas’s final Showcase Ballroom performance. They are proud to support this most worthy cause and will be cheering Carol and Thomas on all the way, to the finish line. Ultra Ballroom is organised by Ultra Events who have raised over £11 Million for Cancer Research UK. The Stocks Hall Nursing & Care Group are very proud of Carol and Thomas and look forward to following their story in the coming weeks. Good Luck Carol & Thomas!